A soccer-like ball and paddle game. The over objective of the game is to get the soccer ball into the goal. 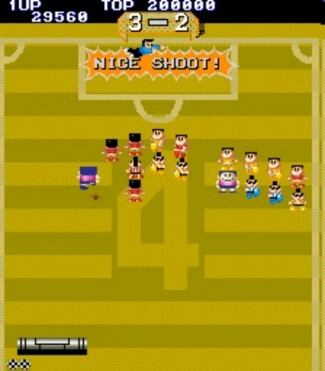 The player is given a soccer ball and and it bouces off of the defending characters on the field. Each time the ball hits a charracter, the character is taken off of the screen and the soccer ball comes back and the player tries again to hit the soccer ball back up to the goal. If the player misses the soccer ball, another ball is replaced until there are no more soccer ball. This repeats until the soccer ball goes into the goal or the player runs out of soccer balls.